Ugh. I am NOT happy to be returning to Wofflings with more tragic news from the Philippines. 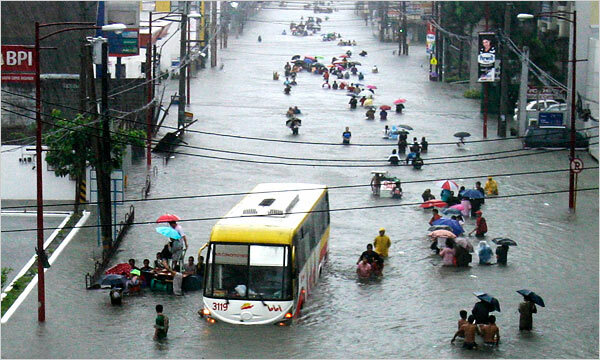 Earlier this week, the Philippines was hit by Tropical Storm Ketsana (known locallly as Ondoy): the devastation is on par, and by most accounts, worse, than Hurricane Katrina (the only storm that most US folks know much of anything about), and is the worst flooding that the greater Manila area has seen in 40 years. Ketsana has moved on to wreak havoc in Vietnam, but now there’s another typhoon on its way into the region, so the Philippines and its neighbors are in for another brutal punishing. Once again, I’m finding myself glued to Facebook and other more immediate streams of information, because the news has done a lousy job of covering these events sufficiently. It’s absolutely heart-breaking, seeing photos of areas I know well, that my friends and family live in, so surreally submerged, and seeing minute-by-minute updates of which friends on FB are coordinating relief efforts, who’s been trapped by the floods, who’s safe…it’s overwhelming, to say the least. There is no Filipino community in Prague that’s coordinating relief shipments like other parts of Europe, so I’m not sure what I can do from here beside donate money. A number of my Pinoy artist friends and I are trying to figure out how best to help, either now or in the long term. In the meantime, folks abroad are donating to Philippine Red Cross and Unicef, sponsoring balikbayan boxesÂ of goods (thank you, LBC, for donating shipping), and scrambling to find ways to help from a distance. It’s bad times all around in South East Asia and the Pacific right now: with the Philippines, Vietnam, Cambodia, Samoa and Indonesia juggling the lethal combination of typhoons, earthquakes and tsunamis, I’d say make a donation to your favorite international aid agency, do a little praying (if that’s your thing), and find any way you can to contribute. and clearly, there are many countries in need of immediate support, so donating to more than just the Philippines would be tremendously helpful right now. 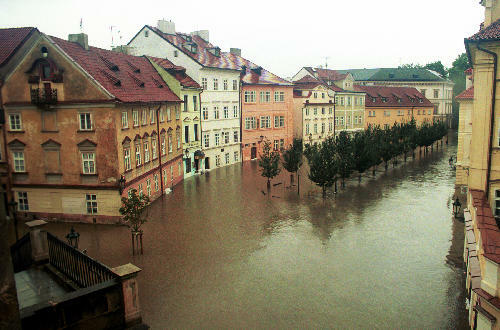 Prague had a massive flood back in 2002: I know it was disastrous here, too, but none of the photos I’ve seen seem even remotely as devastating as what’s happening in Asia right now. You are currently browsing the Wofflings weblog archives for October, 2009.